This is a follow up to my initial rant on the new parking fees being charged at the Palms shopping mall, Lekki. This is just so unfair. 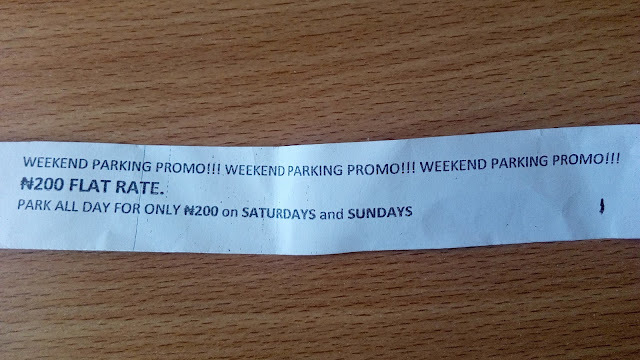 So, this means I'll have to start parking outside the mall, whenever I just wanna grab something quick on a weekend day. Same trick I use at Jakande, if you know what I mean.